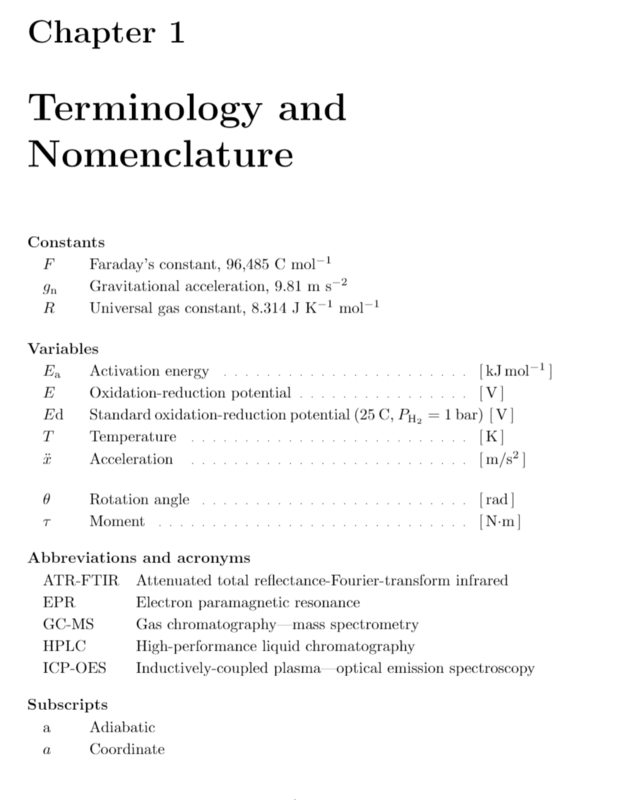 I am currently doing a "Nomenclature" type list in my thesis (attached image). This template is based on a style file called usnomencl.sty. What I would like to achieve is to be able to align my text better at the part where I have my abbreviations and acronyms. 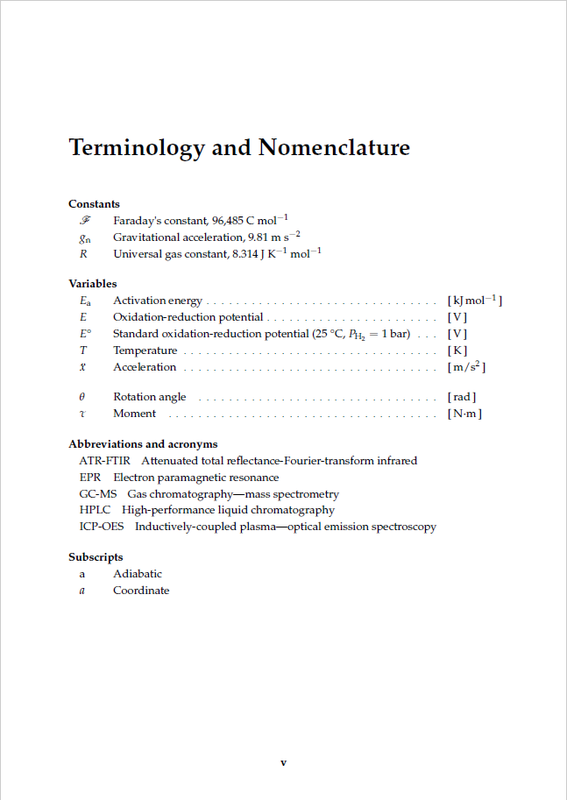 Some of the terms are longer than the space originally provided by the template, so I would like to align the definitions a little further to the right to accommodate all the terms. I've tried using something like tabbing environment but ends in error without output. Any suggestions would be appreciated, and I apologize if something similar was answered before. Just wrap the "Abbreviations and Acronyms" group with its own Nomencl environment (which, internally, is just typeset as a list), then give it its own label width. The default width is 2em. %% End of file `usnomencl.sty'. Not the answer you're looking for? Browse other questions tagged templates nomenclature alignment or ask your own question. How to customize the acronym / abbreviations list?